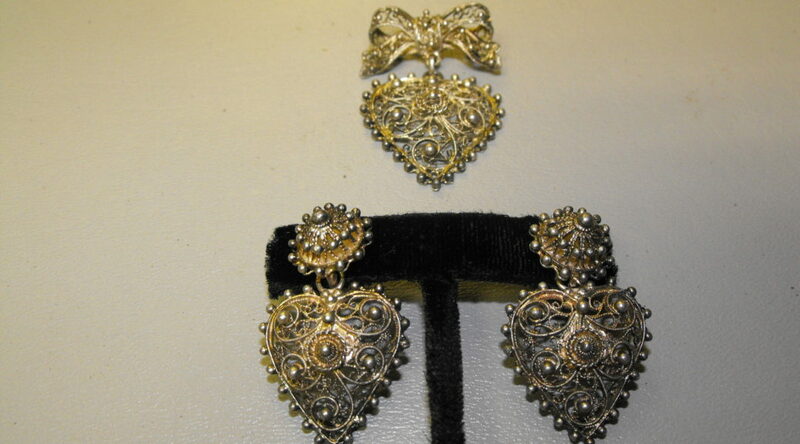 This charming fiilligreed heart shaped, Sterling Silver pin and earring set is over 60 years old and was given as a family gift. 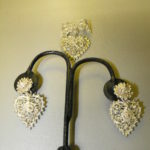 The set is signed Topazio, Portugal and is still made today we believe. 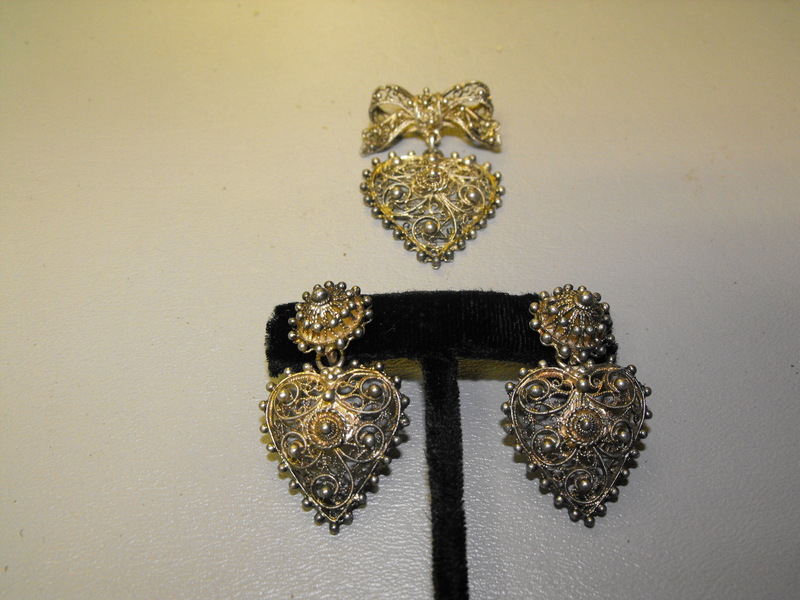 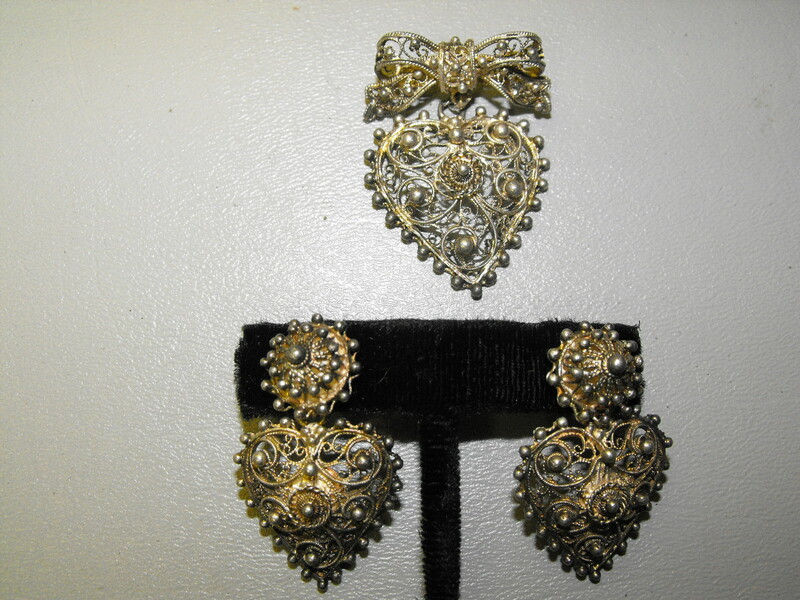 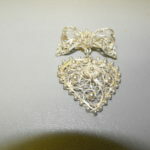 We have taken the liberty of cleaning the silver and we have enclosed both before and after cleaning photos. 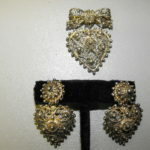 The detailed workmanship is exquisite. 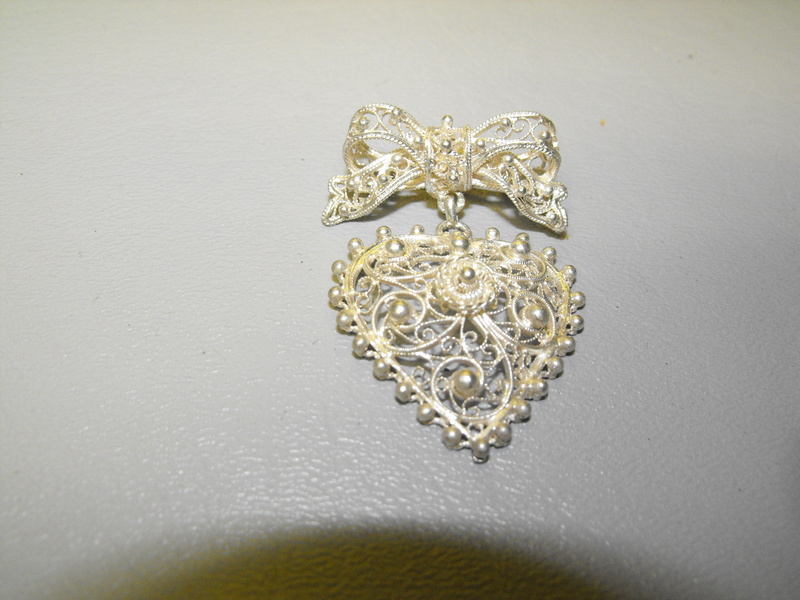 The pin is about 2″ long and the heart is about 1″ wide. 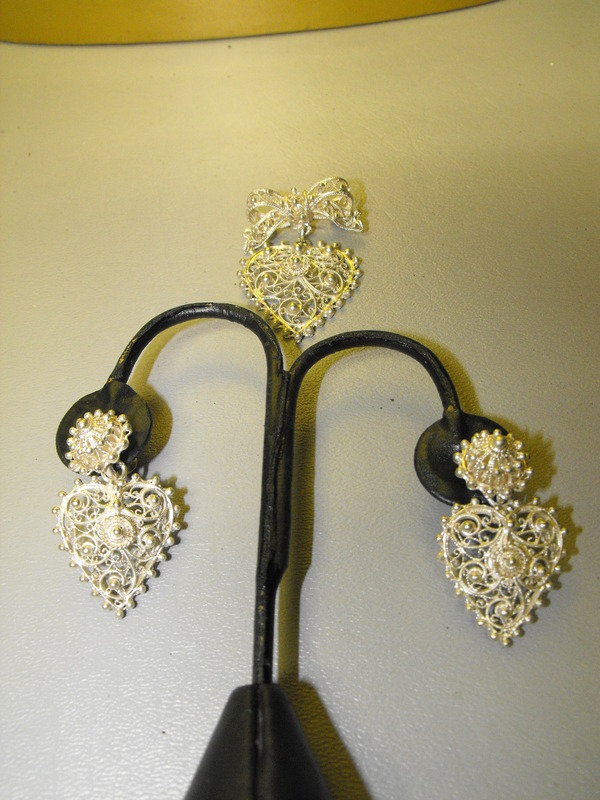 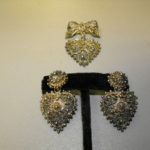 The screw back earrings are 1 1/2′ tall. 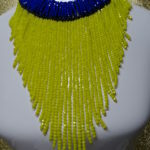 So, making a statement comes in all sizes.